When assembling a PC we always give a certain priority to components such as the motherboard, the CPU (processor) and the GPU (graphics card), but we must bear in mind that the correct functioning of all of them will depend on the power supply unit that we are using. This is why buying the best PSU for your PC is very important. This is one of the pillars of any PC because the functioning, as well as upgrading components, depends on the power supply unit. • Poor performance in relation to PC components. • Blackouts, restarts or spontaneous cut-offs. • Excessive noise and jerks or frequent loss of performance, especially when using demanding applications. We had to make an article dedicated to the power supplies to complete our catalog of hardware-focused guides, and today we have finally been able to complete it. We have already left you an introduction that will help you to easily identify problems with this component, and now we will delve into the basic criteria to choose the model that best suits your needs. How to choose the right power supply unit? To be able to choose a power source it is not necessary to enter into complex formulas of power or anything similar, it is enough to have three clear concepts: power, amperage, and efficiency. The power is measured in watts and is the main criterion that users follow when choosing a specific power supply for their equipment. It is correct because it is a value to take into account, but the problem is that in many cases it is not complemented properly with the other two and this can have very serious consequences. We will understand it with an example. Imagine you have a PC whose most demanding component is a high-performance graphics card that requires a 500-watt source. You get carried away by that criterion and you buy a source that fulfills that power but that does not cover another requirement of the graphics card, the amperage. In the graphics cards, the necessary amperage is measured by indicating the necessary one in the 12-volt lane and normally goes from the 16 amps of the most efficient models to the more than 40 amps of the most powerful solutions. As we can see, there is an important variation, so we must take this into account. • 80 PLUS: 80% efficiency. • 80 PLUS Bronze: 82% efficiency. • 80 PLUS Silver: 85% efficiency. • 80 PLUS Gold: 87% efficiency. • 80 PLUS Platinum : 89% efficiency. • 80 PLUS Titanium : 90% efficiency. What PSU do I need for each graphics card? The choice may depend on the other components of the equipment, especially when we move in very tight values, but to simplify things we can take as an optimal value the minimum requirement set by each manufacturer for each graphics card. Then we leave you a complete list that will serve as a header guide, which also includes the amperage in the 12-volt line. Keep in mind that these are the basic requirements for the reference models and that therefore the customized models may require more power or amperage. GeForce GTX 1080 TI- 35A and 600W (1 x 8 pins and 1 x 6 pins). GeForce GTX 1080 – 32A and 500W (1 x 8 pins). GeForce GTX 1070 TI – 32A and 500W (1 x 8 pins). GeForce GTX 1070 – 30A and 500W (1 x 8 pins). GeForce GTX TITAN X – 38A and 600W (1 x 6 pins 1 x 8 pins). GeForce GTX 980 TI – 38A and 600W (1 x 6 pins 1 x 8 pins). GeForce GTX 980 – 30A and 500W (2 x 6 pins). GeForce GTX 1060 – 20A and 400W (1 x 6 pins). GeForce GTX 970 – 28A and 500W (2 x 6 pins). GeForce GTX 1050 TI – 16A and 350W (1 x 6 pins). GeForce GTX 1050 – 16A and 300W. GeForce GTX 960 – 20A and 400W (1 x 6 pins). GeForce GTX 950 – 19A and 350W (1 x 6 pins). GeForce GTX 750ti – 18A and 350W. GeForce GTX 750 – 16A and 300W. GeForce GTX 740 – 16A and 300W (1 x 6 pin version with GDDR5). Radeon RX Vega 64 (standard) – 38A and 750W (2 x 8 pins). Radeon RX Vega 56 – 31A and 600W (2 x 8 pins). Radeon R9 Fury X – 34A and 600W (2 x 8 pins). Radeon R9 Fury – 33A and 600W (2 x 8 pins). Radeon R9 Nano – 28A and 550W (1 x 8 pins). Radeon R9-390X – 31A and 550W (1 x 6 pins 1 x 8 pins). Radeon R9-390 – 30A and 550W (1 x 6 pins 1 x 8 pins). Radeon RX 580 – 28A and 500W (1 x 8 pins). Radeon RX 570 – 25A and 450W (1 x 6 pins). Radeon RX 480 – 30A and 500W (1 x 8 pins). Radeon RX 470 – 28A and 450W (1 x 6 pins). Radeon RX 560 – 18A and 500W (1 x 6 pins). Radeon RX 550 – 16A and 500W. Radeon RX 460 – 18A and 380W. Radeon R9-380 – 28A and 500W (2 x 6 pins). Radeon R9-370 – 17A and 450W (1 x 6 pins). Radeon R9-285 – 25A and 500W (2 x 6 pins). Radeon R9-280X – 30A and 550W (1 x 6 pins 1 x 8 pins). Radeon R9-280 – 25A and 500W (1 x 6 pins 1 x 8 pins). Radeon R9-270X – 24A and 500W (2 x 6 pins). Radeon R7 260X – 19A and 450W (1 x 6 pins). Radeon HD 7790 – 21A and 450W (1 x 6 pins). Radeon HD 7770 – 19A and 450W (1 x 6 pins). Radeon HD 7750 – 16A and 400W. If you have ever been tempted to save a few dollars by buying a cheap and low-quality power supply, do not worry; you are not the only one. It’s something that we’ve all gone through that we’ve ever assembled our own PC by pieces. But as we explained in our guide to choosing the power supply, it is something that should be avoided, since it is a fundamental component in our system and the one in charge of ensuring stability to the entire system. As a complement to the aforementioned guide, in which we offered the main factors that must be taken into account to choose a model, in this article we show you which are the best options, based on our own opinion from testing different models and analyzing consumer reviews. Once you have decided what power meets your needs, you can be sure that any of these sources will guarantee good reliability, so you can opt for the most economical, for one that has some feature that can be useful (for example, if you want a modular) or simply for the most powerful, if the budget is not an obstacle. Of course, this is not an exclusive list, and that a model does not appear on this list does not mean it is not a good purchase. Surely there are many other perfectly valid options, but those we have selected have a quality that is more than needed and bears the stamp of prestigious manufacturers. 90% of gamers will find the power source they need in this power range, as it is more than enough for almost any system. Whether you want a low-end basic gaming PC or mediocre gaming, you should not look further than here, otherwise, you’ll be investing more money than necessary and you will not use it. 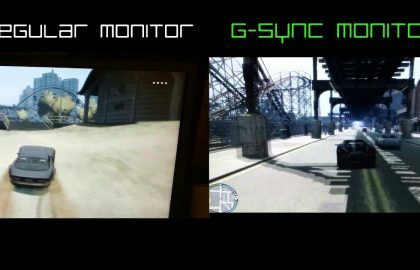 Only if you are going to install two or more graphics cards, or if you think that in the future you can do it, you should consider purchasing a more powerful model. This is the best option for those looking to set up a cheap gaming PC, without sacrificing security and stability. 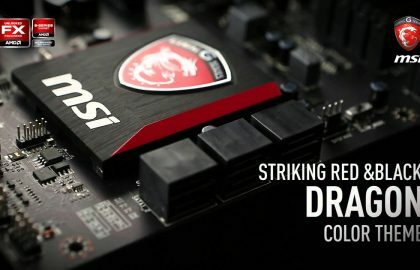 450W is sufficient for the vast majority of graphics cards of basic-medium range, and although it is not 80Plus certified since it lacks power correction factor (PFC), several tests have shown that in practice its efficiency is of at least 80%, reaching in some circumstances up to 85.5%. It has 36A in a dual rail + 12V with two channels of protection against overcurrent, so it is not two virtual rails, as it happens in other cheap models, but real. 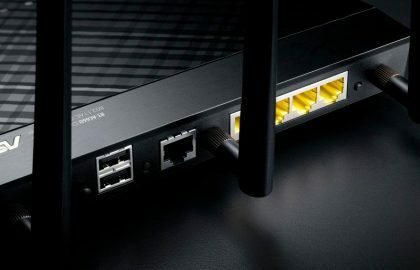 Among its disadvantages are that it only offers two years of warranty and that except the main cable, the others do not have the nylon protection. 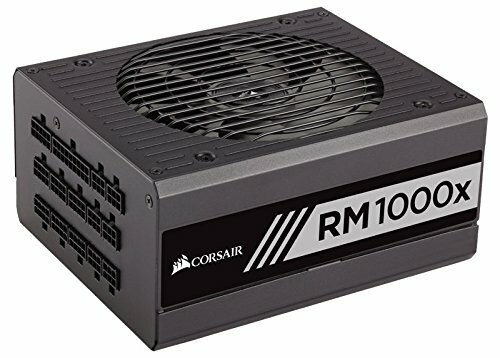 Corsair is one of the leading brands in the sector of power supplies, but do not let yourself be guided by this when choosing a model. And, within its wide range can be both mediocre units and others of excellent quality. This RM500x is among the latest. It is modular, is built with high-quality components and has an 80Plus Gold certificate. It has a silent fan mode in which the fan does not activate until it is reached until cut off temperature. And even when it starts to work, the noise level remains surprisingly low. The manufacturer’s warranty extends to no less than 10 years. It is one of the most expensive options in this segment, but also the one that offers the highest quality, thanks to its great efficiency, the reliability of its materials and its voltage stability. The 550 G is fully modular and allows ample fan control. It has 45.8A on the + 12V rail and is covered by a 7-year warranty, which is at intermediate compared to its competitors. The price difference with respect to the 650w version is very small, so you can opt for the latter if you think you will need more power. However, with this 550w, 90 % of users have more than enough without any doubt. One of the best models for its value for money, which should be considered by anyone who has a priority to save a few dollars. 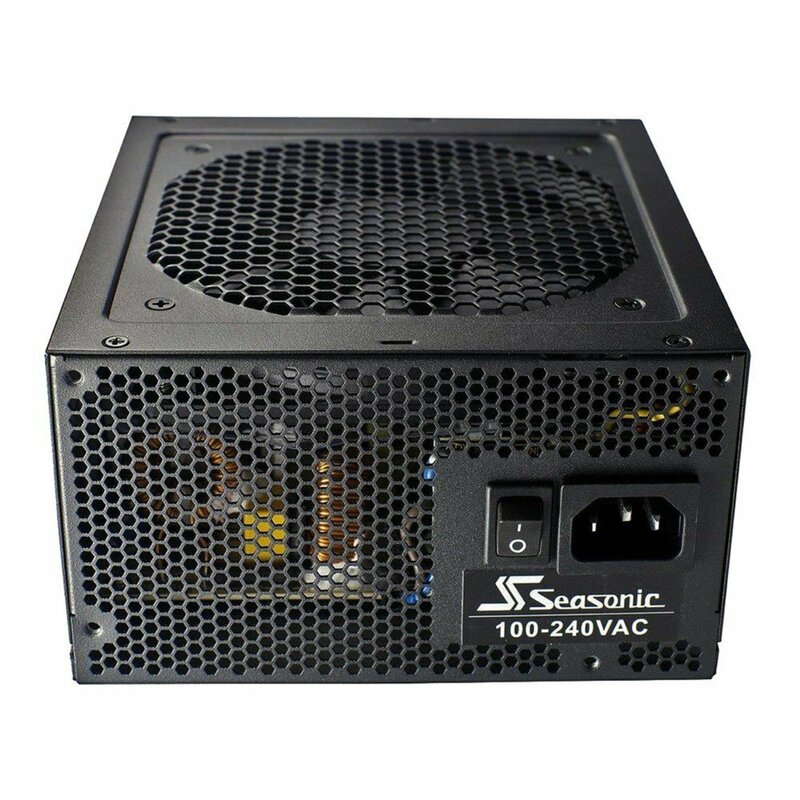 In addition to its low price, this Seasonic S12 II 520w is worth it for its efficiency (it has 80Plus Bronze certificate), its low ripple and its quiet operation. Although it is not modular, it is suitable for small spaces, due to its low depth (140mm). It has a double rail + 12v for a total of 40A and its warranty period is 5 years. Who is this power range addressed to? Well mainly to two types of user. 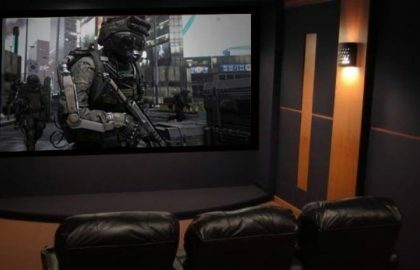 On the one hand, those who want to set up a very high-end gaming system, with some of the graphics cards that require more power, and also do overclock. And on the other hand, those who seek to enjoy a dual configuration, with two cards in SLI or Crossfire, although yes, with low-mid-range models. If you are not sure if in the near future you are going to attach the second graphics card to your system or not, you can choose power supply of this range so you will not have to replace when you want to make the jump. 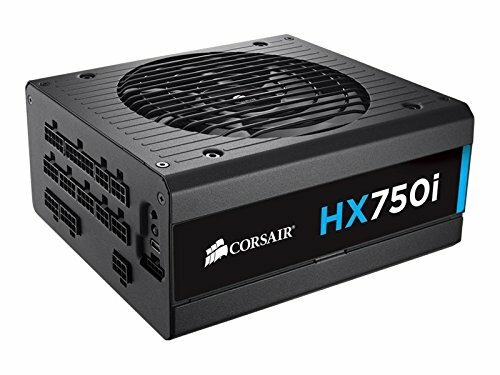 The Corsair HX750i is one of the most advanced power supplies from this renowned manufacturer. It is an improved version of the RM series, with better quality components, aimed at a more enthusiastic or even professional audience. In addition to having the 80Plus Platinium certification (the second highest) and being fully modular, another of its most interesting features is the Corsair Digital Link software, which connects the source to the motherboard through a USB can control fan speed and voltage, choose between monorail or multi-rail mode or simply monitor the efficiency and temperature of the unit. 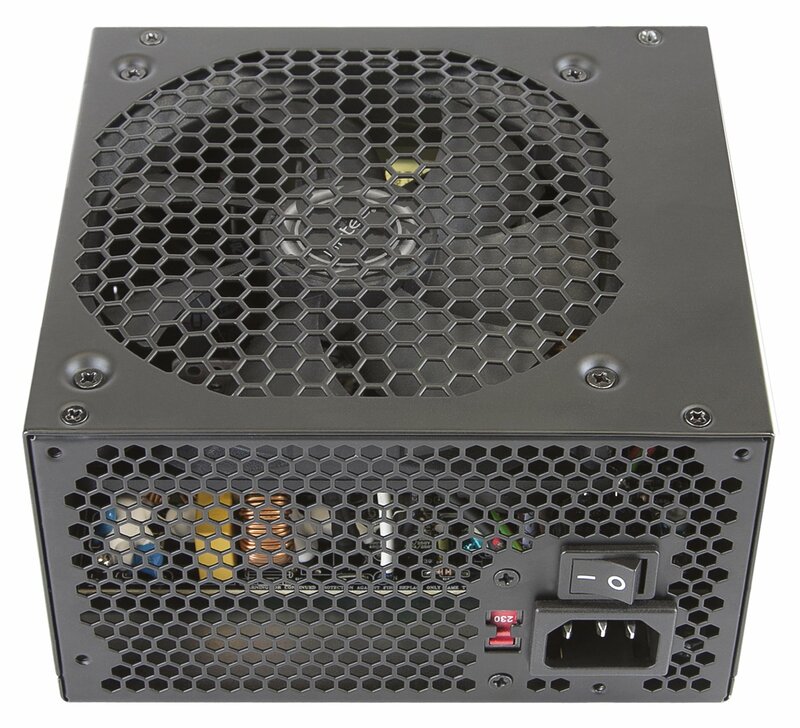 The 650w power supplies are a particular case, and I do not really recommend them to anyone. The reason is that there are enough watts for a single graphics card and they are missing if two are going to be used, so they stay in no man’s land. However, we have decided to include a model in this selection for those who like to have a margin to spare, and especially those who plan to overclock. 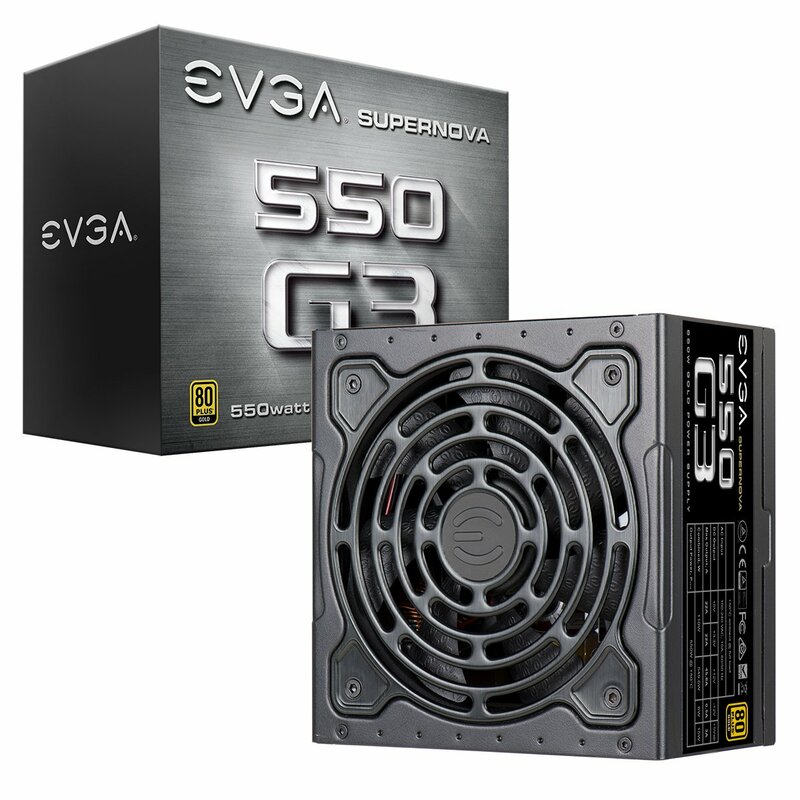 This EVGA Supernova 650w G2 is modular, with 80Plus Gold certification and good voltage stability. This particular model is manufactured by Power Flower, with high-quality materials and Japanese condensers, and is really silent. Of course, this recommendation also extends to the 750w version, if you are looking for a higher power. This is one of the smallest models you can find in the 750w range, with only 140mm depth. This, together with the fact that it is a modular unit, makes it perfect for boxes that are a bit short of space. It has an excellent construction quality, with 100% Japanese capacitors, good efficiency (80 Plus Gold), and fairly low noise levels in standard conditions, although when fully operational it becomes slightly noisier than others of its competitors. 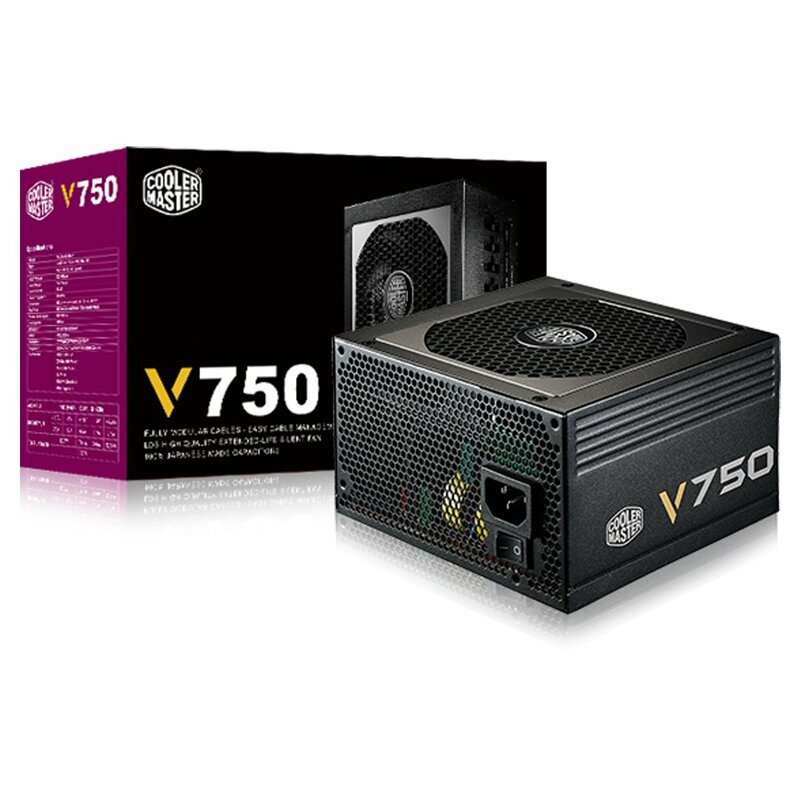 There is another version with the same commercial name, that is, it is also called Cooler Master V750 (marketing departments, who understands them), which is semi-modular, and whose components are of a slightly lower quality. However, at the time of publishing this guide, the price of the fully modular model is quite lower in Amazon, so there is no doubt that this is the one to choose. 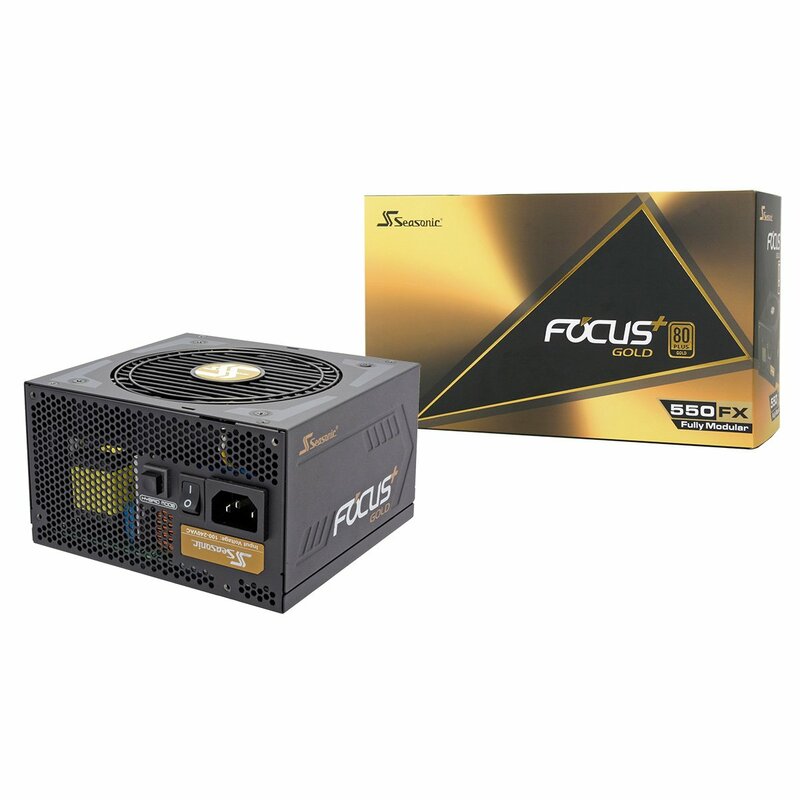 With a power supply between 800w and 1,000w, you can mount a computer with two high-end graphics cards or even three mid-range graphics cards either for purely gaming or professional use. Otherwise, we recommend that you look at the previous power segments since it makes no sense to make such an investment to have only one card. At this level, most manufacturers manufacture only high-quality units, so there are no major differences. However, here we suggest some models that stand out above the rest thanks to their incredible value for money, which make it possible to have a first level source without spending a fortune. 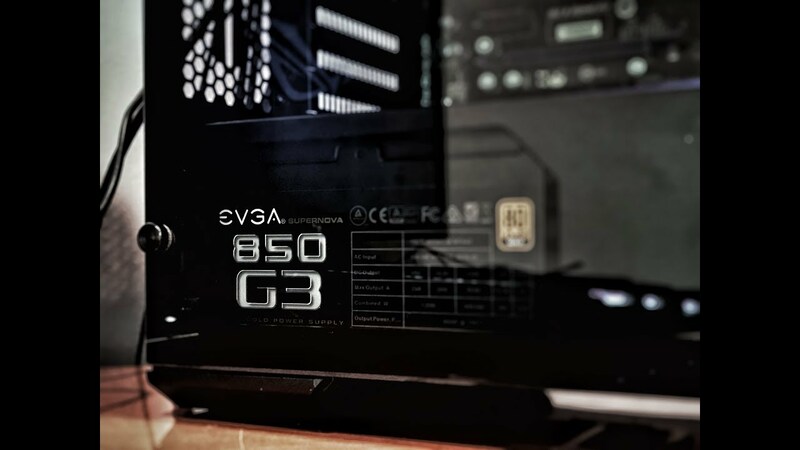 In this range, EVGA also offers other series of very good quality, or even higher. 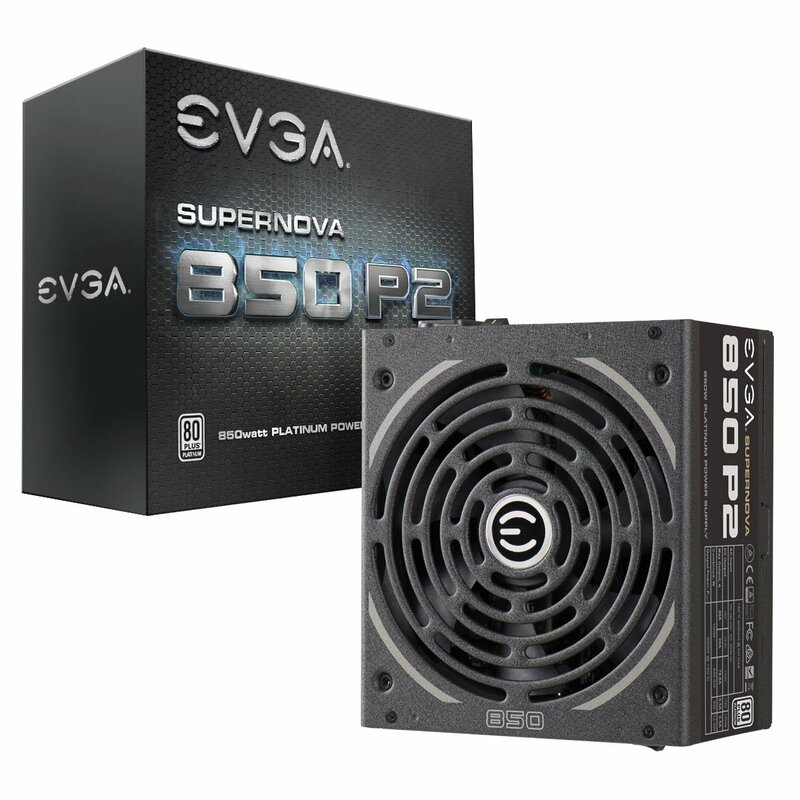 In the case of the EVGA SuperNOVA 850 T2, which among other improvements, is 80Plus Titanium. But the price difference seems too big since gamers can get everything they need in P2. 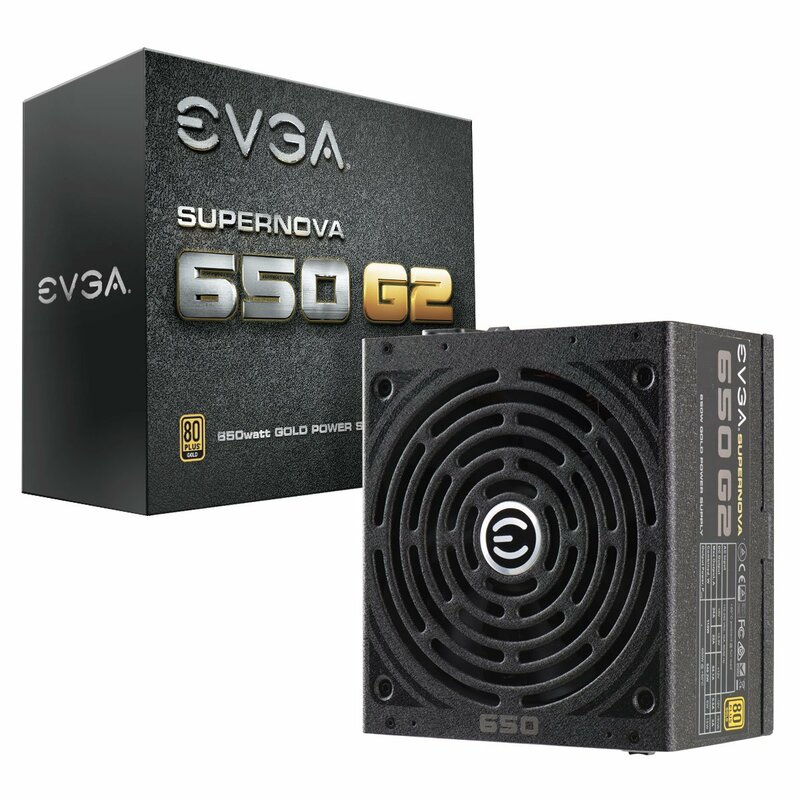 At the opposite extreme, the EVGA SuperNOVA G2 is a cheaper model, and although it has a Gold certificate, it uses a very similar technology. The SeaSonic X Series ensures quality and efficiency in all its models, and this X-850 is no exception. Although the EVGA Supernova P2 is slightly superior in general lines, this SeaSonic allows you to save a few dollars, and in the day to day, you will not notice hardly any difference between the two. It comes with a 7-year warranty, it is totally modular and reaches a good level of efficiency, with the 80Plus Gold certificate. It is impressive its good voltage regulation and its low levels of ripple and noise, the latter especially when the fanless mode is active, with small workloads. As a drawback, it has fewer connectors than most of its rivals (4 PCI -E and 8 SATA), although if you do not have special needs it should not be a problem. The Corsair RMx reappears on this list, thanks to its balance between quality, efficiency and performance and its competitive price. Although it has the 80Plus Gold certificate, its level of efficiency is really higher, reaching Platinium in practice. It is fully modular, has great voltage stability and wave suppression on all its rails, leftover connectors and a semi-fanless mode, which makes it devilishly quiet as long as the equipment is not under heavy workloads. We have chosen the 1000w version for the list because if you need that extra power, you can even find it at a lower price than the 850w versions of some of its competitors. But if you think that with 850w you have enough, this version is also a great option and at an unbeatable price. We reach the last segment in this list, the one that only a privileged few will ever need. 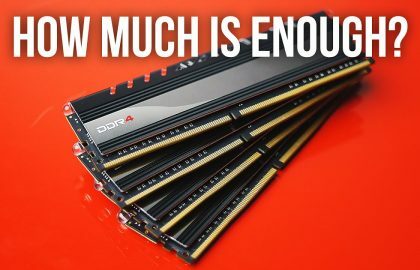 And is that, unless you are going to set up a computer with three or four most advanced graphics cards, perform extreme overclocking, this much power is completely unnecessary. This one is, without discussion, one of the best in its range. To begin with, it is one of the few that reaches the 80 Plus Titanium level, which means the maximum possible efficiency. And to continue, it has great voltage stability, one of the best wave suppressions ever seen and an almost complete digital control of the three main rails. Maybe it is a little bulky and that, if you prefer multirail in the 12v you have to look for another option. It is also available in 1200w version. 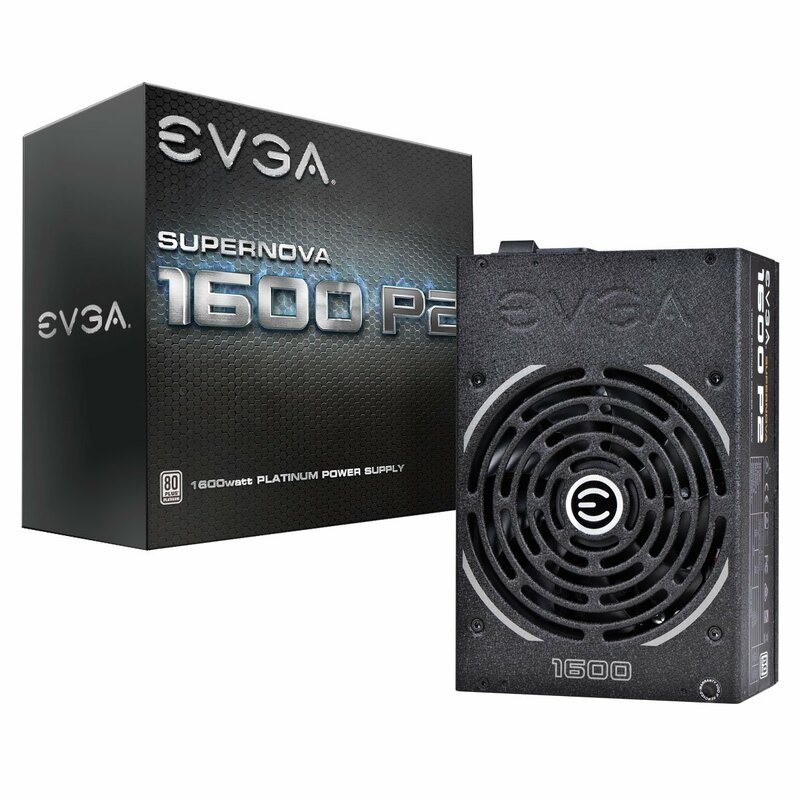 The only one that can face it is the EVGA Supernova 1600 T2, but it is more expensive and in our opinion, it is not worth paying the difference. 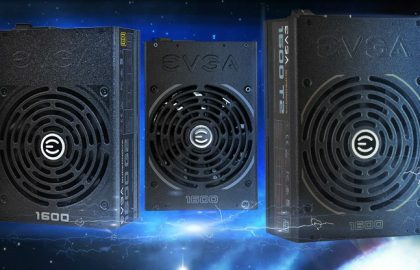 We could not resist including this EVGA power supply again, which we have already recommended in previous power segments. 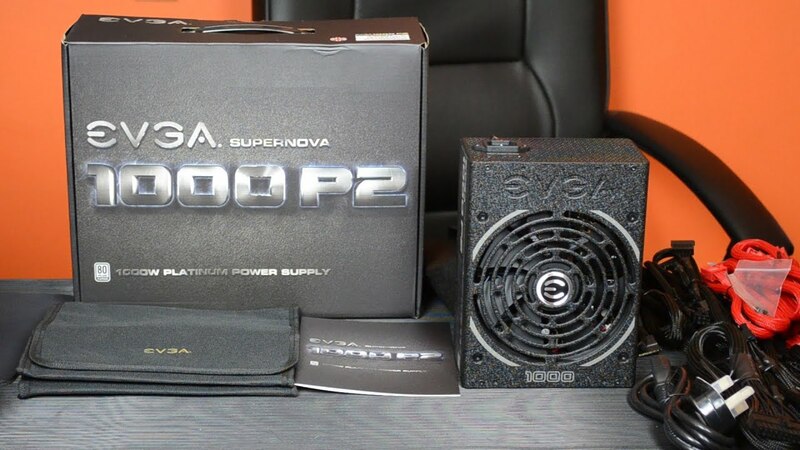 It is located somewhere between the EVGA Supernova T2 and Supernova G2, both in price and efficiency, and stands out for its excellent voltage regulation, its control of the undulation, its low noise level and the number and variety of connectors. It has a single + 12V rail with 133.3A, is fully modular and includes a semi-fanless mode, which you can activate or deactivate when needed. 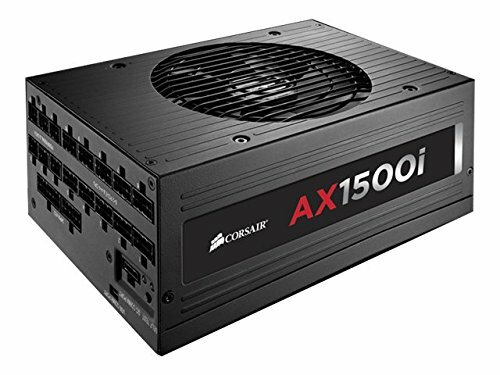 In general terms, this seems to us one of the best-balanced options for the 1500w-1600w. If you prefer multirail or you are short of budget, go to the Lepa G 1600. If the budget is not a problem and you only want the best of the best, there’s the EVGA Supernova T2 or the Corsair AX1500i. 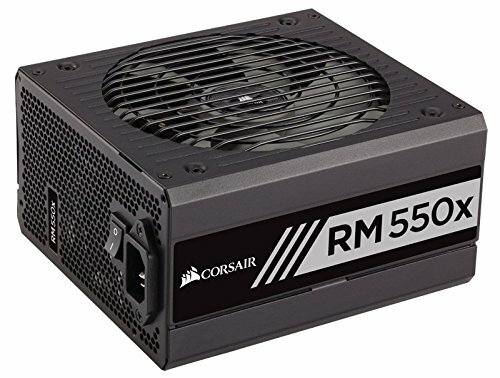 List of best psu for gaming and other professional works from as cheap as $60 to top-end as $250. Buying guide and list of power supply units for each graphics cards included. Check out your requirements and choose the best power supply accordingly.